Please tune in and bid high to support Opportunities for Inclusion! 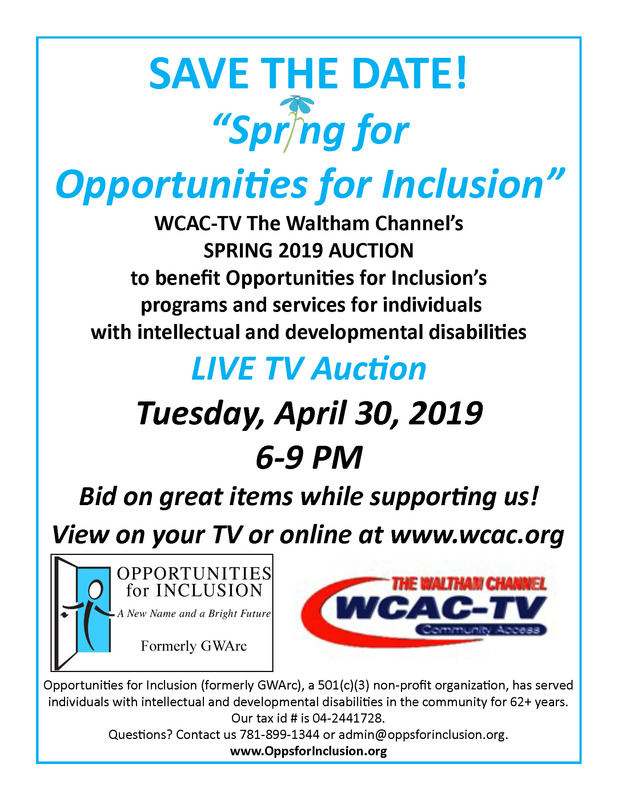 Highlight your business to the Waltham community & beyond on live TV by becoming a sponsor or donating and auction item! Contact Joanne Raymond at 781-899-1344 x4147 or jraymond@oppsforinclusion.org for more information. Please click here to view and print event flyer.